I was at a dressage show earlier this season and overheard two women talking about a rider they both knew. “She isn’t driving the horse onto the bit; she just isn’t strong enough to drive him to the bit!” one said with a sharp edge to her voice. We have all seen riders who try to control a horse with strength- grunting, red faced, and tense with exertion. Does she actually think it’s possible to shove a thousand pound horse forward with a force of human strength? The quality of the gait is tarnished by tension and force is never a good substitute for finesse. I could rant on long into the night. Instead, I offer this link to a video of Dr. Reiner Klimke, at 59, riding with energy and finesse in a warm up arena: http://www.youtube.com/watch?v=pzG-0TyTuMs . Horses truly do want the lightest cue possible. If the rider gets tense in the asking, the response from the horse will be tense as well. 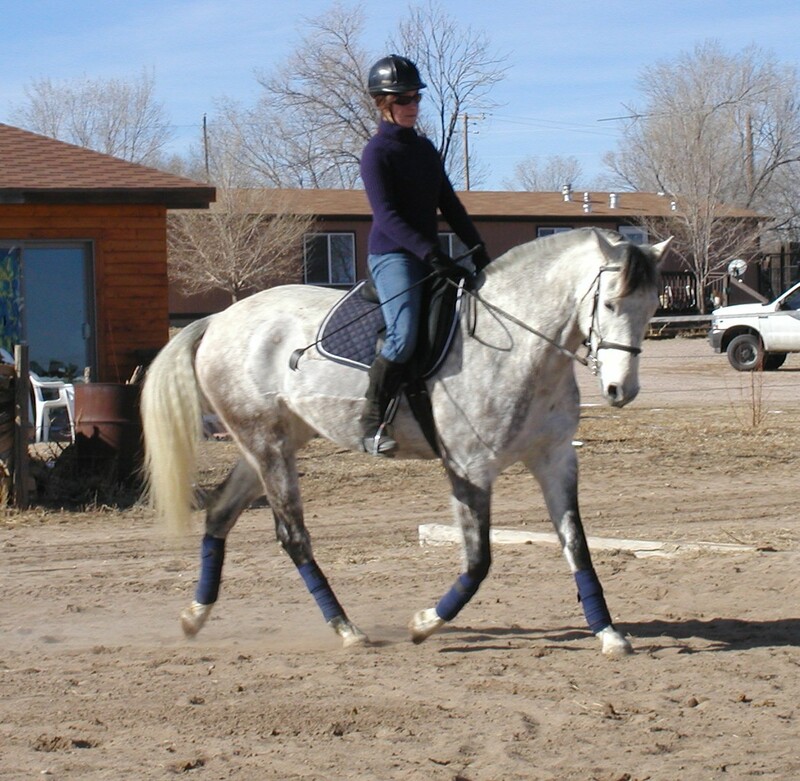 Worse yet, if a rider allows tension to join up with gravity, the horse will give a dull, dense response. The nagging begins and the possibility a joyous dance instead becomes dull work. Unhappy rider equals unhappy horse. Too often riders equate energy with emotion; when energy goes up, it turns into anger or frustration. There is another choice. Instead, let light, positive energy percolate in your torso; adjust your inner thermostat without attaching an emotion to it. Practice an inhale and dial up your energy with transitions forward, then exhale and cool the energy to come back. Breathe, allow your energy to be elastic, and your horse will return the favor- happy response from soft cues. Conscious riding is challenging, it takes mature patience and mental focus to learn the fundamentals. But once we understand, we should let the mental effort settle and ride with the child-like enthusiasm of a horse-crazy girl. Or Dr. Klimke. ← WEG: Experience Required, Maturity Rewarded. Thank you so much for this post! I love Dressage but I am not the best rider and these words gave me encouragement to carry on.